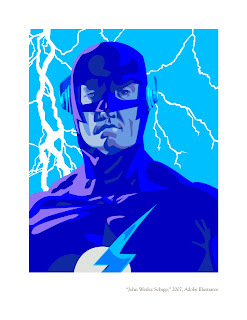 I did this one last year as a portrait assignment with Adobe Illustrator, but the colors weren't like this. I have to remember that I can't upload CMYK image on this thing. RGB only. Still, it looks pretty cool. 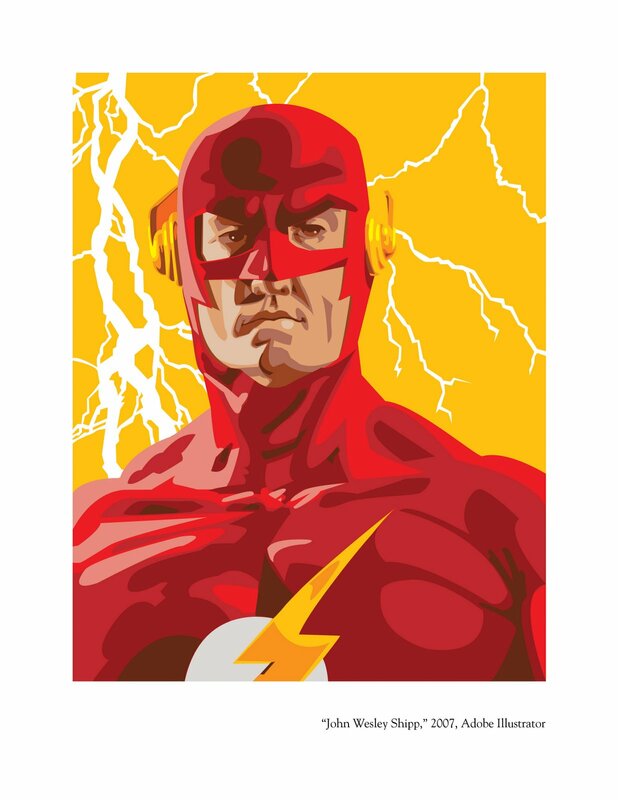 Of course, the actor portrayed is John Wesley Shipp from the late '80's TV series, "The Flash." It was one of my favorites. I just noticed that I misspelled John's name on the piece. I'll have to take care of that before sending it out in my portfolio. Darn. Update: Here's the correct color and name spelling. 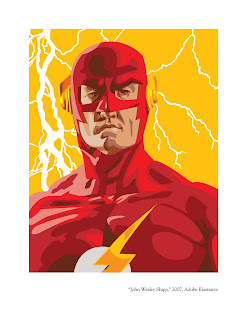 The Flash is copyright DC Comics.